A day without springs would be a very difficult day indeed. It may seem trivial that something so simple could have such an impact on how our days function, but the fact is, springs help the world go round. We&apos;ve already caught a glimpse of how the average morning would go horribly wrong without the use of springs, as they are often built into our most essential items; pens, umbrellas and toasters to name a few. However, here&apos;s an insight into an afternoon without our springy friends to help us along the way. After a particularly arduous morning, you&apos;ve managed to get to work in one piece, if not a little irritable after your crumby, damp and altogether stressful commute. You sit down at your desk to partake in a big pile of paperwork that you didn&apos;t manage to get through the day before leaving work on Friday. These papers need to be signed off, organised and filed away, and luckily you&apos;ve found a functioning pen because yours is in pieces in your pocket. However, progress into your workload hasn&apos;t got very far due to your stapler being unable to staple its staples! 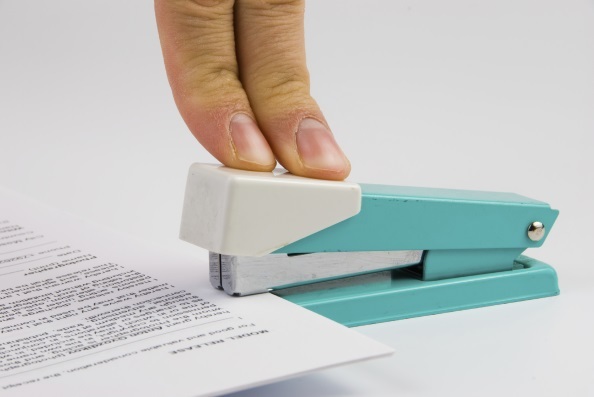 Springs work in two ways in a stapler – one to help push the staples down onto the paper so that the stapler can reload, and the other to push the stapler head back up again. After you managed to make the best out of a bad situation with your paperwork, by resorting to paperclips, you now need to keep an eye on the clock so that you make your morning meeting on time. It&apos;s a good job you don&apos;t carry around your wind-up watch anymore, or you would be in a spot of bother. You encounter your boss in the hallway – the one you&apos;re trying to impress in a bid to look more favourable for the promotion position; a rumour that&apos;s been circulating the office as of late. You both approach the door to the conference room, but you step forward and grab the handle to open the door for him. Unfortunately, the door won&apos;t open because the tension spring, that&apos;s used to pull back the latch mechanism, isn&apos;t there. You then find yourself clawing at the door, until someone on the other side hears your distress, and your boss looks at your with despair. In a bid to relieve the stress of your morning, you decide to rent one of the city bikes to ride through the bike and get a spot of lunch. However, your journey is less than relaxing without any compression springs to act as shock absorbers inside the bike&apos;s mechanism. And not so fast! Make sure you don&apos;t gain too much momentum down that hill, because having functioning brakes are pretty vital to a runaway bicycle. A lack of springs in your brakes means bumps and bruises won&apos;t be far behind! As experts in spring manufacturing, it&apos;s interesting to explore how significant springs are in our lives, and how springless objects can severely disrupt our day. For more information on our services and products, feel free to contact us at 0208 663 1800 to see how we could make an impact on your product or project!